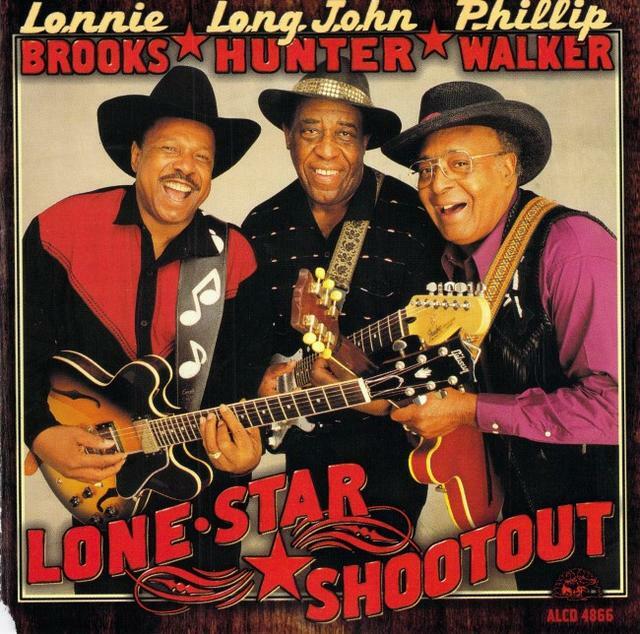 Louisiana-born and Texas-toughened, Brooks (66 at the time of this recording), Hunter (68), and Walker (62) show what blues peers can do in what seem to be peaking years. There are three numbers where all three go full-tilt; the rest of the material varies in personnel, group, and solo emphasis. The distinctive, gutsy voice of Brooks, Walker's loping guitar lines with his slightly rough, seasoned voice, and the riveting presence of Walker on all counts, musically and vocally, are showcased to consistently satisfying levels. Of the 15 cuts, there are a handful of rockers and boogies, a few pure soul tunes and ballads, a jump blues, a Cajun calypso, and some straight blues -- something for everyone. The hard-swinging "Street Walking Woman" and the slower shuffle "Feel Good Doin' Bad" are great musically, if lacking in message. Walker gets a back-to-back showcase on "I Can't Stand It No More/I Met the Blues in Person," and he tears it up. Brooks pleads and shouts on "This Should Go on Forever," while Hunter's highlights are the cautious "Alligators Around My Door" and the B.B. King cop on "Quit My Baby." Score some plus points for Kaz Kazanoff's sax and harp playing, and the horn charts are mighty fine throughout. Speaking of unsung heroes and heroines, credit pianist Marcia Ball on three cuts, Riley Osbourn playing keys on the others, and Ervin Charles, who does yeoman-like vocal and guitar work and gets two showcase cuts on his own, the best being the Muddy Waters closer "Two Trains Running." This is a historic joining of three blues legends, with so much talent you have to give huge props. Also, buy this simply for Bruce Iglauer's info-laden song notes, alone worth the price of the CD.